With a successful background in international business and a deep understanding of the appeal of property in Vero Beach, Debbie has the expertise and knowledge for success in local real estate. Backed by the area’s premier agency, Dale Sorensen Real Estate and International affiliates, Debbie has a distinct advantage in providing effective, results-driven marketing techniques for the homes in Indian River County. Debbie’s familiarity with the local neighborhoods, schools, and culture will help those relocating to the area or long-time residents find their dream home. She understands true success in real estate depends on the value she provides, and few work harder on behalf of their clients than Debbie. After attending the University of Miami, Debbie immediately launched a successful career in corporate buying and sales. 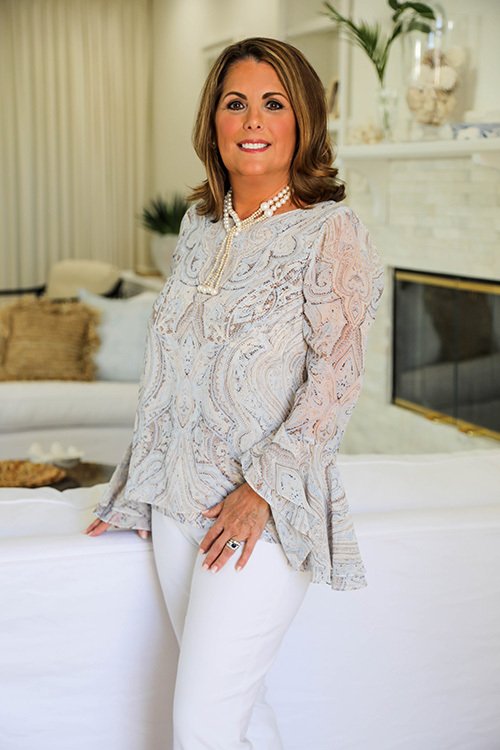 Starting in Manhattan procuring luxury handbags for Fifth Avenue retailers, she eventually moved back to Florida, accepting a position in sales at an International floral importer. Her success in the sales and marketing industry prepared her with the skills required to properly showcase her clients’ homes. Debbie grew up in Key Biscayne, a serene tropical village off the coast of Miami. Since relocating to Vero Beach in 2000, Debbie and her family have enjoyed all the Vero lifestyle has to offer. Debbie lives here with her husband of over 30 years, Bill, and has two daughters enrolled in Florida Universities. When Debbie isn’t showing homes to buyers or marketing her listings, she loves to travel experiencing other cultures and customs.